"... To send light into the darkness of men's hearts - such is the duty of the artist..."
Bad Dreams is the one of the very few Latin American classic and prog-rock band to triumph outside the continent and certainly the one making the biggest impact in the prog-rock community lately. Hailing from Argentina, and comprising five accomplished musicians, they began their prolific career performing Genesis' music for a period of more than 10 years, venture in which they attained worldwide recognition by fans and Genesis members alike; being mentioned in the official website of Genesis and Steve Hackett, having fused Genesis music with a symphony orchestra and played together with Genesis’ last singer Ray Wilson, besides being featured in the Official Genesis iPad App made by Armando Gallo (Genesis’ official photographer and biographer). Wanting to spread their wings even further, they took a big undertaking out of their comfort zone in 2014, and released their first album with their own original music entitled "Apocalypse of the Mercy". 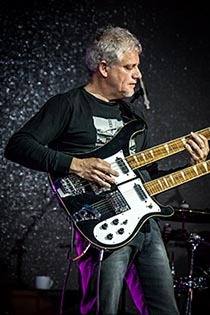 The album garnered worldwide recognition among classic and progressive rock fans, and Bad Dreams opened for Steve Hackett and played alongside Steve Rothery (Of Marillion's fame) and his band during their South American leg. 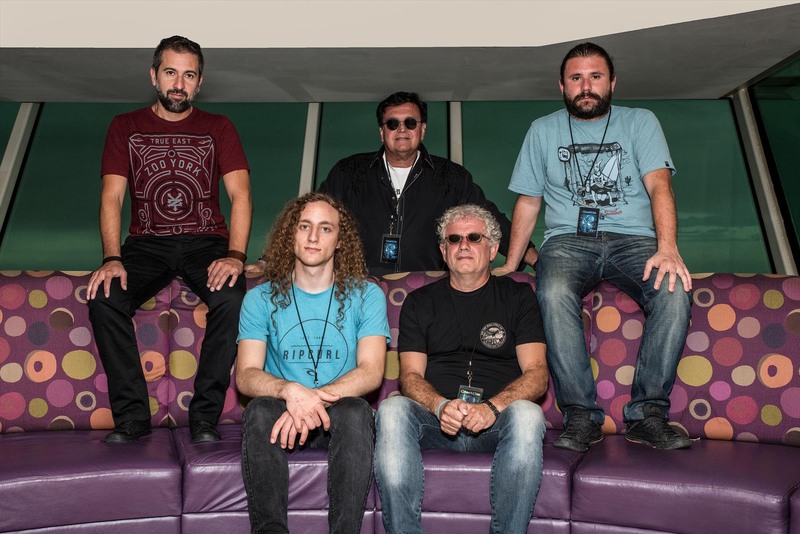 2015 marked a milestone in Bad Dreams’ history, when they became the first Latin American band to take part in the prestigious Cruise to the Edge celebration, sharing the bill with household names in the prog-rock scene like Yes, Marillion, Mike Portnoy, Änglagård, PFM, Neal Morse Band, Lifesigns, Allan Holdsworth, and many others; performing two very successful shows in front of an audience which was unaware of the band and welcomed them warmly with long standing ovations. After Cruise to the Edge the band played a single show in Miami, and later embarked in tremendously fruitful Central America tour, visiting Panamá, Guatemala, Honduras and El Salvador, before locking themselves and started working in their sophomore album, entitled “Deja Vú” which saw the light of day in November 2016. Bad Dreams was invited to the next two iterations of Cruise to the Edge, held in February 2017 and 2018, anew rubbing elbows with the cream of the crop in the prog-rock scene. Shortly before embarking in the 2018 edition of the now epic celebration at sea, they released their third records entitled "Chrysalis", the last one to feature former singer Gabriel Agudo who left the band at the end of 2017, and the first one to come to life through a successful PledgeMusic campaign. 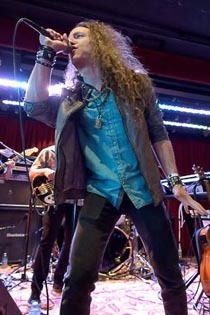 Left without a singer Bad Dreams found a diamond in the rough in young L.A. musician Dennis Atlas, who filled Gabriel's shoes perfectly while adding an impactful additional layer to the band's live presence, and they successfully performed lauded crowd-packed shows at the event. The band is now putting together additional Latin American dates for the Chrysalis tour. Jorge Tenesini was born on December 3rd, 1960. 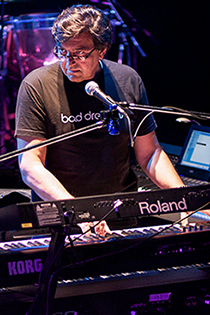 He is the keyboardist and main songwriter in Bad Dreams. He founded the band in 1990, and is the only remaining original member. Jorge started playing piano when he was 8 years old, and at 14 he began his studies at the Music Conservatory founded by one of the musicians who had played with Josephine Baker. Inspired by artists like Weather Report and Herbie Hancock, Jorge started dabbling in jazz rock at the age of 18. His passion for progressive rock led him to venture into the genre; taking inspiration from Keith Emerson, Tony Banks, Rick Wakeman, and Richard Whright among many other prog pioneers. Jorge has worked very hard to make a name for the band in the international progressive rock scene, taking the lead in the compositional aspect and sharing the lyrical duties with other bandmembers. Through the years Jorge has adquired a great collection of different types of keyboards and synthesizers used throughout the history of the prog-rock genre, such as Hammond B3, Moogs, Phropets, Emulator, Wurlitzer, Rhodes, Mellotron, incorporating infusing his particular landscape sounds into Bad Dreams' music. Jorge also opened his own recording studio in 2006. Dennis Atlas is the lead singer and second keyboardist and guitarist in Bad Dreams. He replaced Gabriel Agudo during the last months of 2017 and brought a new energy to the band's live presentations. Dennis is a musician, composer, performer, and music fan born for the frontman role. Studying music all his life - from classical, rock, and beyond - Dennis has spent several years amusing audiences with his top-notch skilled performances on keyboard and vocals (as well as other instruments) as part of tribute bands like ONE WITH EVERYTHING (Styx Tribute), PROGWORLD, and fronting his own original band INITIATOR. Known for his never-faltering energy and sometimes hyper personality and presence in any setting, Dennis finds himself in his perfect element when on stage. In addition to performances in front of clamoring audiences, Dennis is also known for his acting work on Nickelodeon and various commercials. He enjoys spending his time both writing music, and perfecting his musical traits, driven by an obsessive passion for the greatest rock music on Earth. Ariel Trifunoff is best known as the lead guitarist of Bad Dreams. 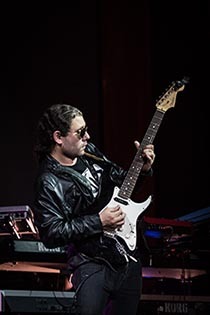 He has gained tons of exposure with the band and has proven to be one of the most exciting new virtuosos in the progressive rock scene, after he enchanted Cruise to the Edge's audiences with his fluid and impeccable style. Ariel began playing guitars at the age of 10. He studied at the "Manuel de Falla" conservatory, and was captivated by classical musicians like Andres Segovia. Some of his early and later influences included Steve Hackett, David Gilmour, Paul Gilbert, Joe Satriani, Steve Vai and Steve Rothery. Known among his bandmates and fans for his virtuoso command of the guitar, due to both his technical ability and proficiency in various styles, Ariel is destined for great things. Although a very able player in a diversity of forms, Ariel has a distinct soulfull technique, with fast and fluid tapping up and down the neck, funky slapping, and occasional use of extreme effects. His colorful playing can be heard in the band's debut album and he has contributed with some amazing guitar lines to the band's upcoming album. Alex Calvera is a session musician, multi-instrumentalist and educator, with an innate passion for the bass guitar. Starting his musical career at the late age of 17, Alex managed to develop outstanding skills in a short period of time, forging a name for himself as an accomplished musician. A busy session career followed, with fluid, expressive work with numerous artists, in such different genres as jazz, fusion, soul and blues. His respected reputation as a teacher and speaker/lecturer on the subject of music garnered invitations for him to speak and teach at schools, universities, classes and spiritual centers around the country. Inspired by Chris Squire, Gregg Lake, John Wetton, and Mike Rutherford among others luminaries in the prog-scene, Alex joined Bad Dreams, adding his exceptional bass sound as part of the band’s style. His tone comes primarily from his hands and he has several different techniques/playing styles that make up his bass grooves. Fernando Cornejo was born on November 30, 1982. His interest in music began at an early age, taking piano lessons at the Buenos Aires Music Conservatory. Later on, and seduced by the rhythm, Fernando started playing drums; he was merely 10 years old. He entered the Berkley University when he was 18 and graduated in 2003. Since then he has worked as a professional musician, music producer, and session musician for various artists. He is known for his versatility of playing many styles of music. 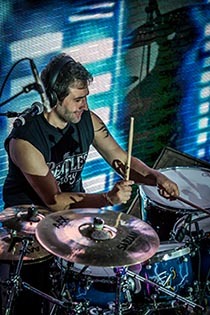 His reputation as one of the most talented drummers coming from the Argentinian music scene led him to became an integral part of Bad Dreams. Fernando cites Phil Collins, Neil Peart, Stewart Copeland, Vinnie Colaiuta, and John Bonham as the main influences in his drumming and percussion's style. BAD DREAMS ©2018. All Rights Reserved.